Today I am concluding a two-week examination of a dream that had lucid as well as symbolic elements. 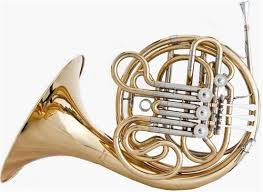 The dreamer—a French horn player—dreamed that he had accidentally left his horn at home on his piano. The entire time that he was dreaming, he was lucid—aware that he was in a dream. There is a part of me that is experiencing an organized event inside of myself. It has to do with music—beautiful sound. I am to participate in this event along with other aspects of myself who get together for this purpose. At first, it’s not quite time. But then the moment to begin arrives and I realize that I have abandoned the special instrument I use for this, accidentally making it inaccessible within me. I have left it where I practice for these sorts of occasions. It’s still within me where I live, but I can’t get to the part of me that is my vehicle for getting around within me. What’s more, I can’t contact the other parts of me with important messages. I’m stuck—immobile, and I can’t even contact the main part of me that is my partner in life. As you can tell from examining the above, italicized paragraph, the central message of this dream has to do with being stuck. There is an overall theme of immobility and the inability to communicate with other parts of himself. This particular dreamer is not accustomed to working with dreams; the whole idea is new and a bit strange to him. I began by asking if he thought that his recent retirement might be causing a feeling of being mired within himself. He has been a dynamic professional musician for decades. Suddenly he has found himself in a vocational limbo. That didn’t seem to resonate with him, but during our discussion, he confided that he is no longer able to function sexually. For a while, drugs helped. Now, even those were having side effects and had to be stopped. My own suspicion is that the message of this dream goes well beyond issues of sexual performance. Nevertheless, that was the level at which he could relate, so that was the level at which our discussion took place. I wanted to leave him with one important understanding: The dream was not commenting on his ability to perform sexually. Rather, it was wanting to make certain that he was at peace with himself no matter what his physiological issues were. Was he OK with himself? Could he find a way to feel whole inside? Could he grow beyond any sense of loss or misgiving? Those were the central issues we discussed.